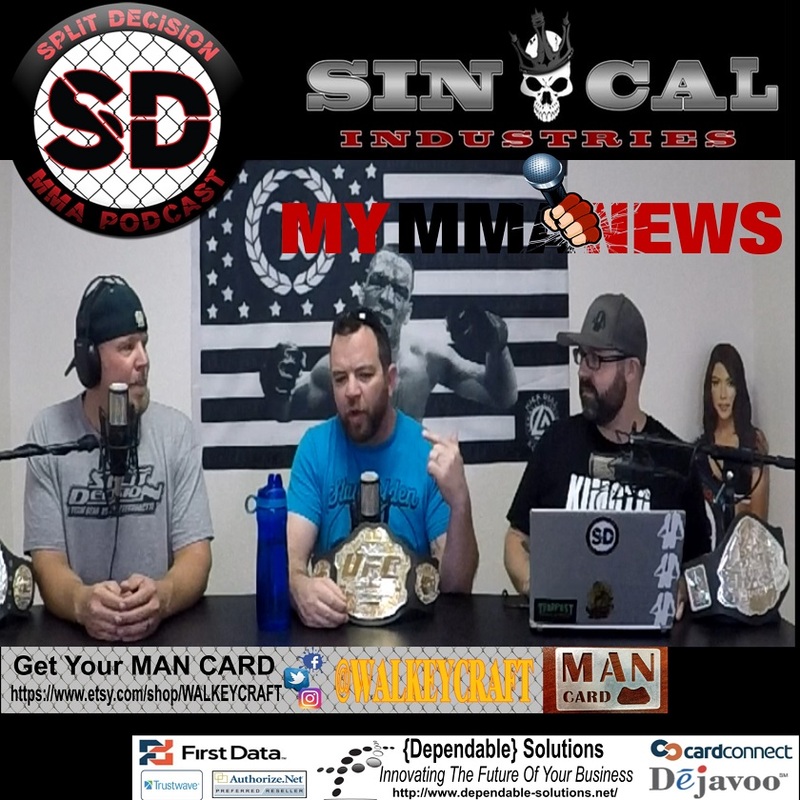 Conor McGregor hit with lawsuit ..
DJ vs Borg back at 216 ..
Gil’s leg is recovering well ..
Jon Jones plan B was even worse ..
Gonzaga going to do some boxing ..
Thiago Alves gives reasons for pullout ..
Mitch Clarke puts his gloves down for good ..
You can catch this and all past and future episodes of the Split Decision MMA Podcast here. The gentlemen are in a new studio and working out the kinks. They will return to video next week. Visit them on the web at splitdecisionmma.com.